Venom Movie Barely Shows Venom at All? We're getting a Venom movie later this year and it could be the most intriguing comic book movie coming out in 2018. However, a new rumor suggests that there actually won't be much Venom in the movie. Yes, you read that right. Assuming some plot details circulating online are in any way true, we won't actually be seeing Tom Hardy become the beloved Spider-Man villain all that much in the movie. Instead, he'll be Eddie Brock most of the time, with his body going through some changes. Warning: possible spoilers ahead for Venom. This should be regarded as rumor for now, but if the rumors going around are true, then what lies ahead will include some spoilers for Venom. You've been warned. The news comes from Jeremy Conrad, who was formerly an editor at IGN and recently posted the plot breakdown to his site, Manabyte. That's worth pointing out, since Manabyte is not a site that many have heard of, but the guy behind it has been in the game for a bit. So that makes it slightly less likely that this rumor is just being made up to generate some false uproar. But still, this isn't coming from an official source or anything like that, so don't treat it as gospel for the time being. In any event, the rumor suggests that the vast majority of the movie has "the symbiote manifest itself via veins on Brock's arms, tendrils, additional arms, and a shield during a car chase." So we'll only partially see the symbiote taking over Eddie Brock and it will be a slow-burn transformation into Venom. It's also said that we don't actually see Venom "until the very end of the movie when the symbiote forms it around Brock to fight the big bad government villain who is also using a symbiote from space." The plot details also confirm that there will be at least three symbiotes featured in the movie, for whatever that may be worth. While these plot details should be regarded as rumor, it actually lines up with much of what we saw in the first teaser trailer for Venom. Not only was the trailer somewhat unimpressive, but we didn't actually see Eddie Brock as the famed character for even a frame. Not even really a tease of that. In truth, if you didn't know a Venom movie was being made and you watched the trailer without seeing the title, you'd be hard-pressed to understand that this was in-fact a Spider-Man spin-off centered on Venom. 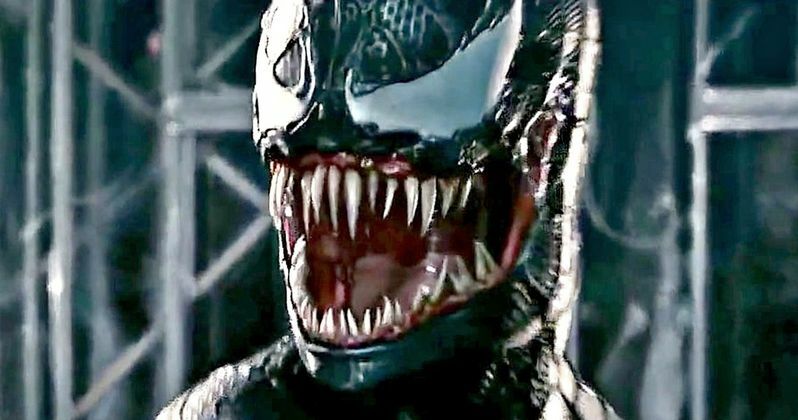 It's worth noting that Venom, which is directed by Ruben Fleischer (Zombieland), doesn't hit theaters until October 5. So even if these plot details were true at some point, they could be changed in reshoots or in a later draft of the script that we're unaware of. That said, if this is even remotely true, this could be more like Tom Hardy: The Movie, as opposed to the Venom movie nobody asked for in the first place. But hey, at least there's a chance Tom Holland's Spider-Man is going to cameo in it, right? This rumor comes to us courtesy of Manabyte.